Have you ever started reading or watching something that opens with a chase scene and found yourself muttering, “What the @#*% is going on?” The next sound, for me, is always a plunk (book being put down) or click (channel switching). Opening a story in any form with a scene of action before the audience knows what’s at stake and for whom is a bit like when your friend takes a bite of something, makes a face and says, “This is terrible, want some?” Why would you? Along with being a writer, an avid reader, and a consumer of movies and television, I’ve also taught fiction writing for more than two decades. About five years ago, it made sense to me to add a new focus to my long-running fiction workshop with a course that specializes in writing suspense. I say “add a new focus” because when you set out to write mysteries and thrillers your goal is to integrate new tools to a skillset that already needs to be multi-faceted and strong—or none of it will work. (Plunk. Click.) There is no such thing as powerful crime fiction that isn’t woven into a bedrock of good, solid fiction writing. So in my classes we study the elements of fiction first and suspense second, with the goal of twining both into a knockout story or novel. I always start by asking my students, “Why are you here?” In other words, what are their goals in committing time and money to participating in a fiction workshop. The reasons are always varied. Sometimes it’s because they need other-imposed deadlines. Or they’re struggling with how to write beginnings, or maybe it’s endings that bedevil them. Or they’re stumped by how to get a character up and off the page. Or building and controlling a plot eludes them. Or the meaning of voice is a total mystery. Sometimes it’s an overall sense that they have no idea how to get started at all . . . how fiction works . . . what it is that makes a story addictive. So I lay out how we’re going to crack it: by investigating craft, one element at a time. As for art—talent, the rhythms of language, gorgeous imagery that pops a scene to life—they’ll have to discover that on their own by experimenting and by paying close attention when they read the work of writers they admire. But as for what forms the bedrock of a potentially excellent story or novel, there are some basics that every writer needs to master. We begin with what I call “First Pages,” in which each writer is tasked with establishing character (who), context (where) and conflict (what) all within a single page. For some, this will be an exercise to get them jump-started; for others, it will turn out to be the beginning of a longer piece. For me, the goal is to demonstrate that it requires consciousness and care to win a commitment from your readers to accompany you on the journey you propose to take them on, and that in today’s world of short attention spans you’ve got to learn to do it quickly. After that, the real work begins. Character: Every character is as deep and nuanced as you are; she carries with her an enormous, complex universe. But when she walks into the room, don’t tell me everything about her; show her to me with selective brushstrokes of visual detail that make her come alive in my (the reader’s) mind. Context: Show me where she is so that I can get my bearings. I don’t need every detail laid out, but I do want to know whether she’s on a train or in a field or on the moon. Conflict: Give me a sense of what matters to her, what she wants. If there’s a nickel in her pocket that will play into the story later, let me feel it with her fingertips so that I can experience that nickel and its particular value along with her. 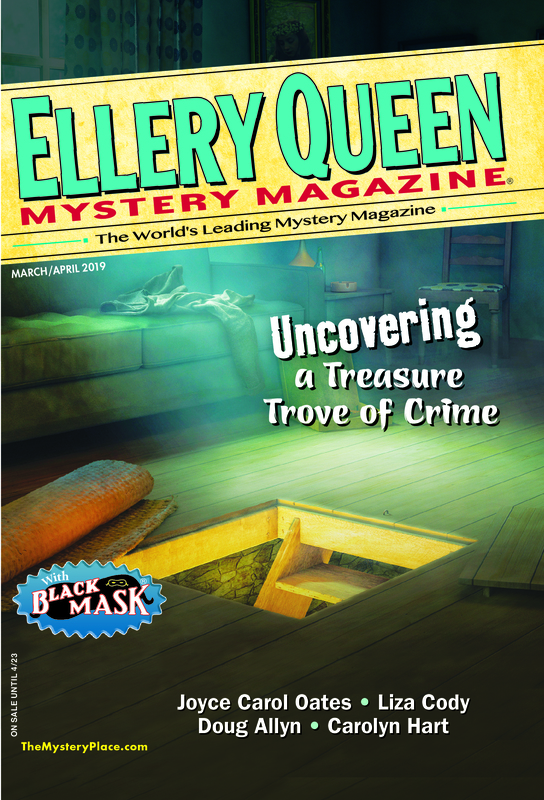 Or, if someone’s just broken into her house in the middle of the night (as in my story “The Orchid Grower,” EQMM November 2015) she might hear a sound that puts her on alert. Dialogue: When she speaks, let me hear her voice, and make sure that she tells me something I don’t already know; in other words, she shouldn’t repeat something you’ve already expressed in the narrative. Tense: It’s essential to decide whether past or present tense best suits your story. Past-tense allows for more narrative insight. Present-tense lends itself to building suspense as the action unfolds in what feels like real time. Either way, commit to one and stay with it. Voice: The quality of language, the feel of it, as expressed through the narrative point of view. This is the glue that sticks all the parts together and makes it fluid and flexible and strong. Read them and you’ll see what I mean. If you’ve reached the end of this post and you’re thinking that you already know all that but you haven’t yet read the fourth book on the list, then get your hands on John Fowles’ The Collector. It’s not a new novel, but it demonstrates how it’s done when a master pulls you right in, holds you close, and scares the pants off you. This entry was posted in Books, Editing, Fiction, Genre, Guest, Writers, Writing and tagged advice, character, conflict, context, craft, crime, fiction, mystery, suspense, thriller, writers, writing. Bookmark the permalink.